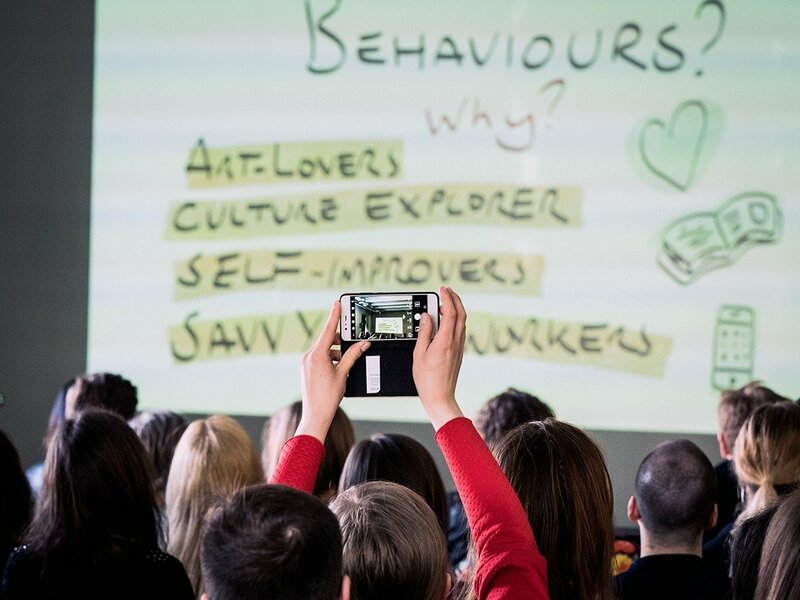 On Saturday more than 50 participants met in Vilnius at the first hackathon of arts and tech hARTckathon to create and develop ideas how to enrich museum going experience. A team which suggested a way to talk to paintings won this one-day workshop. This idea will be put to practice at the MO Museum that opens this fall already. MO Museum and LOGIN fest invited people from art and tech to join in a shared endeavor – to develop digital tool capable of experiencing modern art in a new way. More than 50 enthusiasts took up the challenge. 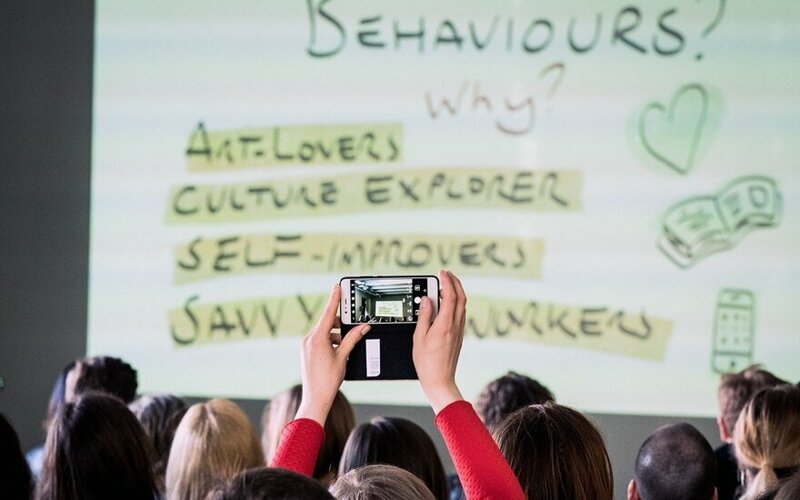 Guests from the most popular European museums shared their experiences and inspiration with them: Cas Boland, Head of Marketing at the Van Gogh Amsterdam Museum and Alex Flowers, Head of Digital at the London Victoria and Albert Museum. Twenty mentors, including MO founders Danguolė and Viktoras Butkus provided challenge entrants with their expertise and advise. At the end of the hARTckathon day, 11 ideas were introduced, that ranged from virtual drawing over paintings and art experience through VR. International jury voted first place for the idea developed by Pew Pew Pew team. Three team members – Rokas Aleliunas, Giedrė Ramanauskaitė and Raimundas Banikonis – presented a tool that enables personal communication with an art object. For instance, one may ask it about its author, its origin and other relevant things. "We were looking for a convenient way to present museum goers with facts about art and artists. This tool will help to understand art context better and immerse themselves into the story of an art object and its author", says the Pew Pew Pew team. Milda Ivanauskienė, Head of MO adds, "It is noteworthy that the winning idea allows for personalization of interests and needs. It complements the Museum multimedia guide with personal touch and echoes the prevalent marketing trend". Cas Boland of the Van Gogh Museum was impressed by the idea as well. "It is rather simple but very powerful at the same time. Museum goers will appreciate possibility of interacting with paintings or statues". "We were slightly apprehensive inviting artists and tech people to join forces. Will they be able to form teams, be open to each other's ideas and develop relevant and creative ideas? However, all teams proved their worth, and I fail to count all original suggestions or arguments that I've experienced during one day. As the results of this hARTckathon exceed expectations, we may very well repeat this experiment", says Indrė Blauzdžiūnaitė – Chevalier. The winner team was awarded 1000 Euros prize, will present the prototype at the LOGIN fest, while the final product will be integrated into the MO Museum exhibitions. Runner-up received partner's prize – tickets to the social business and innovation camp ChangeMakers'ON Camp. Free Masons of Lithuania put on concert for 300-year commemoration.